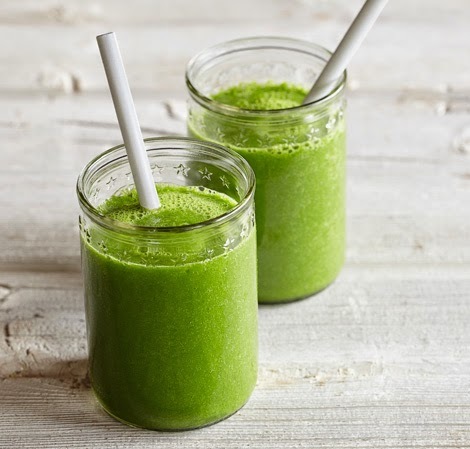 Harvest Health: Green Smoothies……The Good and the Bad. Green Smoothies……The Good and the Bad. The green smoothie phenomenon has been sweeping the world for a few years now, and it looks like it’s here to stay. As with most health fads, it has its good and bad points. v Drinking regular green smoothies can dramatically increase your vegetable intake over a day, and over the week. v Contains the whole vegetable, including the fibre, unlike juices where the fibre is left behind. v Most of the greens used in green smoothies are traditionally eaten cooked. Some contain chemicals called oxalates that are neutralised when cooked, but not when eaten raw. Oxalates can block mineral absorption and potentially cause kidney stones. v There is no chewing involved. Chewing is the first part of digestion. Although a blender will do some of the work for you by making the food into tiny pieces, the saliva involved with chewing has enzymes which begin the process of digestion. v They can cause digestive disturbances in some people. There is no point in having a green smoothie if it gives you diarrhoea. v They are often made with a lot more fruit than veg, meaning they are sweet, and will cause a spike in blood sugar. So, as with many health fads, green smoothies can be good, but not for all people, and not all of the time. Spring, however is the ideal time to increase your intake of greens and give the occasional green smoothie a go. If adventurous, you can try greens from the garden such as dandelion, mallow or purslane! Add approx. ¾ cup of water depending on desired consistency. Put ingredients into a powerful blender and blend until smooth. Enjoy a glassful, and the remainder can be stored in a glass jar in the fridge for a day.